Choosing live jazz bands for corporate events sends a message that you have that touch of class, sophistication and sense of fun that puts everyone at their ease. 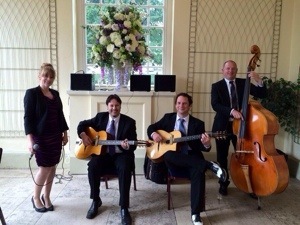 Jazz bands are ideal for corporate events because there is such a wide range of options. You can go for a lively 6 piece ensemble that rocks the place after all the speeches and awards are done, or you can go for some classy background music during the reception drinks. 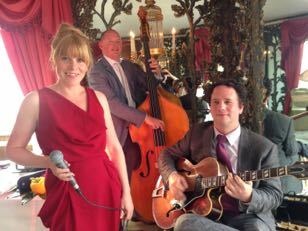 Quite simply put, a jazz band sends out the right message for your corporate event. Whether you’re running a seminar or team building event or hosting an extravagant business dinner, the music you choose can set you apart from your competitors. 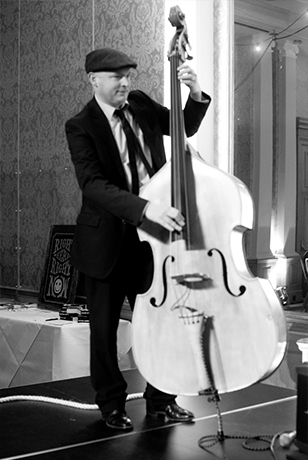 As a business, you want every event to be memorable and a jazz band can add that little something extra which gets the guests talking. And it comes at a price most businesses can afford. From solo artists to 8 piece bands, you can tailor your live act to meet your budget and circumstances. 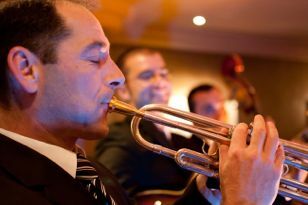 We’ve got quartets and quintets, big band sounds and gypsy jazz, all geared to make your event go with a stylish swing. The Jazz Agency helps you to find the right band to create the right mood for your business. We’re a bunch of people who care about our music. The Jazz Agency has brought together some of the best professional acts in the UK who can brighten up any event or party. You can be sure that you are getting a quality act, who will turn up on time and deliver some great entertainment to guests and work colleagues alike. In the old days, you had to go to an agent and negotiate a price, you’d never be quite sure what you were getting or if the band would turn up on time. At The Jazz Agency, you have everything in one place, you can browse all the musicians and actually hear or see them in action, and be safe in the knowledge we only allow the most professional groups onto our roster. Check out the Sara Oschlag Trio here. Savills have booked this band three times in two months. Or check out Ultraswing if you prefer something instrumental and toe-tapping. Both Liberty London and William & Son have booked them several times since May. Have a look at the size of your venue and make up your mind what type of entertainment it can realistically take. Decide on what style of music you’d like and how big you want the band to be by checking out the profiles on our site. Set your budget. Obviously a larger band with more people will cost more than a three piece ensemble or a solo artist. Contact us with details of your corporate event and the band you want to hire and we’ll set everything in motion, arranging the booking and making sure the contracts are signed and the band know where to be on the day. Then all you have to do is get on with organising the rest of your corporate event, safe in the knowledge that you’ve got the musical entertainment covered.